As a reader, I pay a lot of attention to a book’s cover. I can usually tell from the image and the title’s font whether the story will be lighthearted, mysterious, funny or deep. A cover that captures my attention at first glance is often all it takes for me to click on the book’s buy link to find out more. So while we’ve all been told not to judge a book by its cover, I’ll be the first to admit that I do it all the time. I would venture to guess I’m not the only one (maybe?). This is the main reason why authors spend hours upon hours searching for the perfect photo to use for their book cover. I actually design my book’s cover before I write the story. This “pre-work” helps me visualize my characters better and gives me the inspiration I need to keep writing on those hard days when I can’t get the words out. Seeing the couple’s photo—specifically, their expressions and poses—makes them and their relationship come to life. It might sound strange, but I feel like I “owe” it to the characters to write the happy ending that’s reflected in their picture. There are times, however, when an image I had chosen at the start of the writing process turns out to be the wrong one. This happened recently with the second book in my Spark Brothers series which features (fictional) romance author Brandon Spark. (You may remember meeting him when he did a guest post for me back in April.) He’s a sweet guy who enjoys writing stories with alpha heroes, even though he is nothing like them in real life. (Oops, I mean fictional life since he’s not real!) As the shy one of the family, he is the brother who struggles the most with talking to women. The photo I initially chose to portray him was of a man playfully kissing a woman on the cheek. The more I got to know Brandon though through writing his story, the more I realized this behavior didn’t fall in line with his personality. I made a tough call—gulp!—to scrap the cover and start over. But, boy, am I glad I did! The new image I found fits Brandon to a T.
I’m excited to share my cover reveal of A Sudden Spark with you! What do you think? Let me know in the comments below, and whether or not you judge a book by its cover. P.S. If you saw the title of this post and thought you’d read it already, you’re not the only one. When I saw Alexa Verde’s post on June 6th, I thought it was my own! Turns out book covers are a popular topic (and we both have great minds, haha). Giveaway: I’d like to give away one digital copy of A Single Spark, the first book in The Spark Brothers series. Two winners will be randomly chosen from the comments below. The giveaway will remain open until midnight on Sunday, June 17th. I judge books by their cover and title too which I am sure has caused me not to read some great books. I love your Sparks series and the cover of your new book! Hi Lori! :) Oh, that’s interesting that you pay attention to the title. Now that I think about it, I think I do, too. Thanks so much for reading and commenting! Can’t wait for you to read Brandon’s story. Hi Liwen, I am guilty of judging books by covers. Your new book cover looks great- from the description of Brandon, the cover pic suits well. My kids definitely judge books by covers- so my husband and I are deliberately introducing them to some old classics (where the covers are pretty basic/old) by reading them aloud for family worship- and they are enjoying them!! Hi Wemble! How great to be reading some classics together. I’ve seen some of them with new covers, but you’re right that they are more basic. Thanks for reading and commenting! Hi Kathy! :) No worries, it’s good to hear from you. You’re the second reader to mention the title catching your eye as well. Thanks for reading and commenting! Yes I’m guilty of picking a book my it’s cover. Hi Brenda! Yup, we’re not the only ones. Thanks for reading and commenting! I don’t judge a book by it’s cover but I read the burb before deciding if it interests me or not. Hi Kim! It’s great that you don’t. :) Yes, the blurb is definitely is a factor for me too when choosing a book to read. Thanks for reading and commenting! Hi Liwen! I am guilty of judging a book by its cover. A well designed cover (the title, author’s name and design) catches my eye and makes me want to explore the blurb and the story. Delightful eye catching cover for Brandon Sparks. Best wishes and Happy Writing. Hi Renate! I like to think of a book’s cover as the start of the storytelling, so I appreciate a well designed one, too. Thanks so much for reading and commenting! Hello, Liwen! I admit that a cover will be the first thing that catches my eye! I will then read the blurb before deciding if I want it! Hi Paula! That’s how it is for me, too—first the cover, then the blurb. :) Thanks for reading and commenting! A book cover always catches my eye first, but I mostly decide if I am interested in reading a book by the blurb written on the back cover. Hi Pat! I definitely agree with you. :) Thanks so much for reading and commenting. I already read and loved A Single Spark so no need to enter me into the giveaway. But just wanted to weigh in on the discussion – I don’t usually judge a book by its cover. As long as I am intrigued by the blurb or the book is by one of the authors I follow, I pick up the book and read through, regardless of the cover. However, that being said, a beautiful cover always helps me remember the book better. Hi MJSH! You make a good point. Once I’m hooked on an author’s writing, I don’t really mind what the cover looks like. I’m so happy you enjoyed A Single Spark. Thanks for reading and commenting! I don’t tend to look st covers since I do a lot of my reading via the kindle app on my phone. If I do see the cover and it doesn’t seem like the book will be a clean romance then I definitely don’t read it. Covers can intrigue me enough to read the book description, but don’t generally make me want to read a book on its own. Hi Melynda! Oh yes, it is harder to see covers these days when they’re ebooks. That’s actually something that authors struggle with when designing covers, whether or not they’ll be eye-catching when they appear so small on a screen! :) Thanks for reading and commenting. I often will tKe a second look at a book because of its cover. Your new book sounds great. Hi Tammy! Oh, thank you! I can’t wait for you to read Brandon and Bria’s story. Thank you for reading and commenting! For me, covers are neutral or negative- If they are wonderful, I move to the blurb to discover whether the story is captivating. If they are less than professional (or too steamy lol) I move on to the next book. I read a lot and don’t make any note of the details of the cover but I love that you made the change- it shows an attention to detail that shows up in your writing. Hi Anitra! I’m much happier with this new cover (I think Brandon is, too!). :) Thanks for reading and commenting. I do judge a book by its cover in that it’ s what gets me to look at the book. If the cover doesn’t grab me I won’t dig deeper to see what it’s about. Hi Kimberly! That’s the case for me, too, with a new-to-me author. :) Thanks for reading and commenting. Lol about great minds, Liwen! And I love the cover of your new book! Hi Alexa! Haha, I still laugh about our posts being so similar. :) Thank you! I often judge a book by its cover, unless someone else I admire has recommended a book with an uninteresting cover. It’s the thing that first captures my attention. Then I will read the description to see if it matches my first impression. Hi Lila! It’s great you give the book a second chance if it doesn’t appeal to you at first. :) Thanks for reading and commenting. I definitely am influenced by the cover of a book and you chose a perfect cover for your new book, I would definitely like to read it. Hi Linda! Aw, thanks so much. I’m glad you like the cover. Can’t wait to share Brandon and Bria’s story with you. Thanks for reading and commenting. I definitely judge a book by its cover, and I would read your book because of the cover. I usually read the back cover after I see what the cover looks like. Good choice. Hi Colleen! Yay, good to know the cover got your attention. :) Thanks for reading and commenting. Hi Paula! Yes, I think his quiet personality comes across in this photo. Thanks so much for reading and commenting. Hi Liwen! Nice to read all the comments. Just wanted to add something. Since signing up for Book Bub – the way the page is designed – it is the title first, author, then blurb, price and genre that catches my attention. The cover in this case is irrelevant. Through Book üb I have been i troduvpced to new authors. So to answer the question depends on the media – in newsletter and Facebook often the cover is the most import. Or Amazon promotions. Hope this helps. Sorry about the typos – introduced. Another rainy day – 4th day in a row. Have a nasty headache with 2 cranky preschoolers (granddaughters). Hi (again) Renate! So sorry to hear about your day. Hope it gets better for you (do the girls still nap?). I didn’t think about the presentation, but that makes total sense. Thanks for sharing your thoughts! I love looking at the beautiful covers, but it’s usually the blurb that causes enough interest to read the book. Your new series sounds great. Hi Amy! I think after the cover, authors usually work on the blurb the most (though for me, the former is a lot more fun). :) Thanks for reading and commenting. 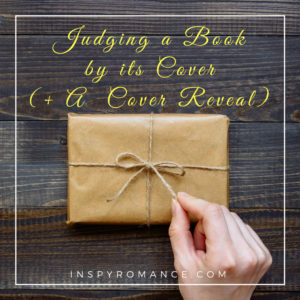 Confession: I judge a book by it’s cover – initially! But I’m a believer in second chances, too, which is why I also scanned your blurb. I love them both! Brandon’s story sounds just as sweet his brother’s (Z. Aiden, who I’m reading now.) Thank you for sharing, Liwen! Hi ZT! :) Haha, yay for second chances. Thanks for giving both Spark brothers a chance! I think you’ll find Brandon’s story to be even sweeter. I appreciate you reading and commenting. I get about 99% of the books I read from the library so for me the title and spine are important factors. If I’m not sure about a book I will read the blurb to help me decide. Hi Jessica! The good ‘ol library! :) That does put a different spin on how you choose books. Thanks for reading and commenting. I loved A Single Spark, and I’m looking forward to reading A Sudden Spark. Great cover! Hi Iola! Yay, I’m so happy to hear this! Thank you for all your support with Aiden and Abby’s story. Can’t wait for you to read Brandon and Bria’s!